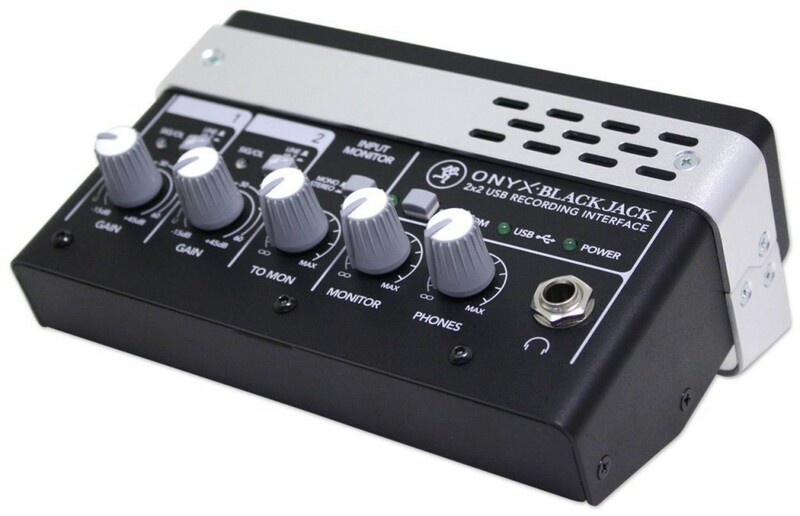 Onyx Blackjack is a 2-in/2-out USB audio interface from Mackie. It’s designed for the mobile musician, producer, music student and DJ, who need an affordable, compact and rugged interface. The main panel has Input 1 and 2 individual gain controls, built-in DIs (accessible via Hi-Z switches), as well as signal/volume LED indicators. The unit also comes with Monitor and Phones volume controls, as well as TRS phones input. Zero Latency Recording is available so that the user can listen to the DAW output while recording. 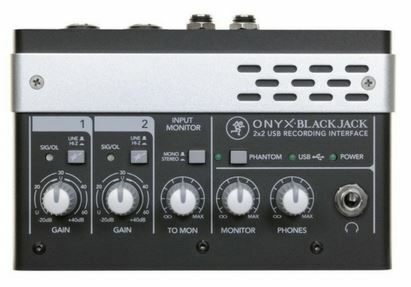 Both channels deliver 48V phantom power so that the user can easily connect condenser mics. The inputs are equipped with Mackie’s renowned premium Onyx preamps and use Cirrus Logic converters. The result is a high-quality AD/DA conversion, and a professional and pristine audio. The back panel has a 1.1 USB port and left and right TRS Monitor outputs. 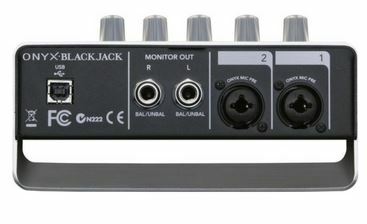 It also has combo XLR/TRS jacks for inputs 1 and 2. 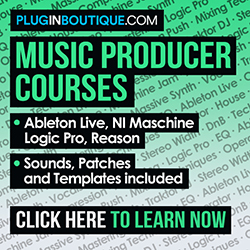 – Tracktion Music Production software included. Onyx Blackjack is compatible with most major DAWs in the market, such as Logic, Ableton Live, Cubase, Sonar and more.